Having undertaken a Law Degree at the University of East Anglia and thereafter the Legal Practice Course at BBP in Leeds, Laura trained with Birkett Long LLP, a local legal 500 firm before being admitted as a solicitor in September 2010. 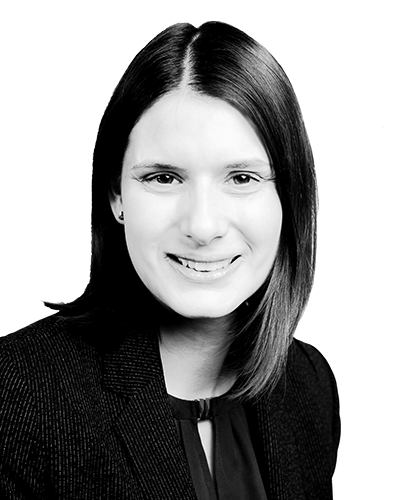 Laura remained at that firm upon qualification for 4 years prior to joining Taylor Haldane Barlex LLP. Laura joined the Family Team at Taylor Haldane Barlex LLP in August 2014 and is now an Associate Heading our Children Law Department. Laura specialises in Children’s Law and has a particular interest in representing parents in Care Proceedings where there is Social Services involvement. Laura also acts for parents, grandparents and foster carers in disputes about Child Arrangement Orders (formerly residence and contact orders), Special Guardianship Orders and Adoption, Secure Accommodation Orders and Emergency Protection Orders. Laura also advises parents on social services involvement prior to court proceedings being issued regarding child protection issues and the public law outline process. Laura was admitted as a member of the Law Society Children’s Panel in June 2014 which means she can represent children in care proceedings and private law children matters. Laura is a member of Resolution and is Chair of the Essex Resolution. "Thanks again for your continued and valuable services."